On September 25, 2015 a resident of Western Grove called the Newton County Sheriff’s Office to report his silver 1997 Chevrolet pickup was speeding out of his driveway, apparently being stolen. Deputies responded to the call and began searching for the vehicle. Bulletins were sent out to other area Law Enforcement agencies to be on the lookout for the vehicle. Later that evening, the owner of the vehicle received a phone call from a friend stated they thought they had noticed the vehicle driving through St. Joe. Agencies in that area were notified, but the vehicle was not located. On September 25, 2015 at approximately 1:30 P.M., Cpl. Michael Thomas of the Arkansas State Police was on patrol near Boxley and located an abandoned vehicle matching the description of the stolen vehicle. A check of the vehicle’s registration confirmed it was the same truck. 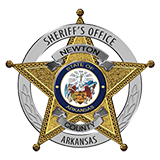 The vehicle was taken to the Newton Count y Sheriff’s Office for processing and the owner was notified. No arrests have been made at this time, but the investigation is continuing.